Friday, and we were open at the office. Peter normally works until close, but he had the day off. So I ended up working the closing shift. I ran home and saw the family for all too brief a moment, then headed out to my gig at the Black Bull. It was a short money gig, but it was close to home, and they included supper. (I had the chicken and sundried tomato alfredo.) While at the gig, as mentioned in the post below, I saw Maura, and we had a nice little talk while I was on a break. Any trace of her Maine accent is gone; she’s all Aussie now. And, like my Aussie friend Jim Gilbert when he first arrived, it’s thick enough that I couldn’t always catch what she was saying. Especially in a loud club with a drummer’s ears! I was home and in bed by 1:05am. Saturday came, and I was at the office until noon. I made a trip to the dump to get rid of the trappings of Christmas. Many others had the same idea; the line was enormous! While at the dump, I noticed one of the tires in Susan’s van was low, so I went to a gas station and topped them all off. Then I went home and watched the boys so Susan could spend some alone time at the library. (The girls in my life are addicted to books!) When Susan got home, I took a nap for about an hour and a half, and then drove to my next gig in Bar Harbor. Though it’s a long drive, and a long gig (a full four hours), the people at this particular club are always very receptive, and really come out to hear music. Bar Harbor is a veritable ghost town this time of year, yet we were still able to make some tip money. After a long drive home, I got to bed at 3am. Some background info. 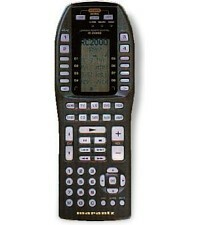 For many years, I’ve used a Marants RC2000 remote to control my somewhat sophisticated home theater. And when the babies were little, we had a need to use close captioning. So I programmed the remote with a “macro”; one button would cycle through all the menus of the TV, and turn the close captioning on. Now, Susan has purchased me a new remote, which I love. (Ignore the list price on the site; a refurb unit can be had for way less.) But until last night, I hadn’t programmed a button to make the close captioning turn on and off easily. So, I decided to do that before bed. Though I love the remote, and though it does have very handy computer based programming, you have to upload changes to the web (your settings are backed-up online with this remote), and then download the changes to your remote. Factor in to that that this is the first time I’ve ever programed a macro on this remote, and you end up with about a one hour project. And, once I get started on something like that, I can’t finish until it’s done. So, at about 10:30 last night, I crawled into bed–my regular bedtime! Wow, what a busy weekend… I’m tired just reading this post! And that’s WAY TOO MUCH remote for me, looks too complicated. Heehee, I can’t believe they got you to program it at that minute, usually I have to heckle or threaten to do it myself b4 my poor exhausted Mr will do it. Our weekend wasn’t quite so busy, things have calmed down a whole lot since Christmas came and went, thank goodness. I hope you’re well rested! Makes me want to start gigging again!